The MY PRODUCTS screen is the one stop area to view a complete list of all the products in your online store and QuickBooks and to see matching products and mapped products as well. You can also Ignore products from here. 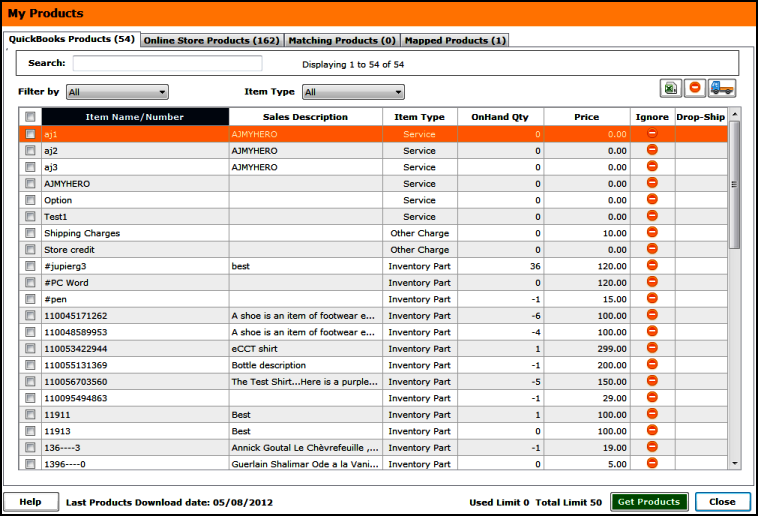 Use this screen to see a report of items in QuickBooks and your Online Store. 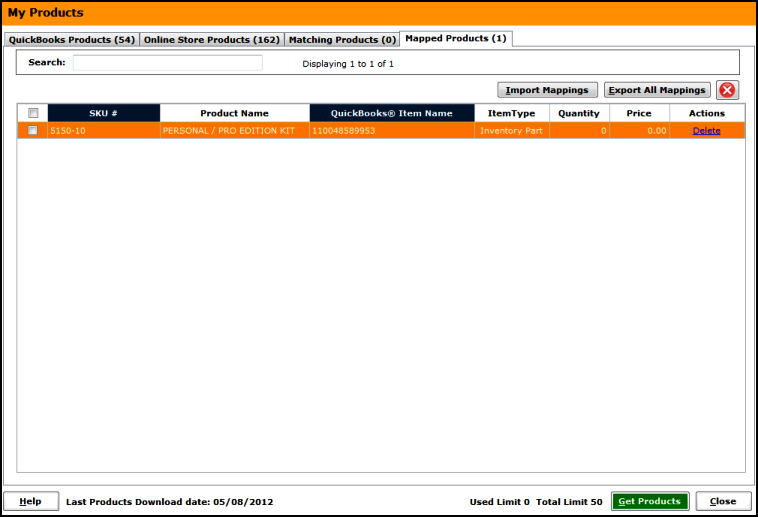 Product Matching Criteria is highlighted and Unify Desktop displays the number of products available. If you want to ignore specific items from the 'Products' sync process, use the ignore button. To Drop Ship, you can click on the drop ship truck button to mark items for drop-shipping if you have enabled Purchase Orders with Unify Desktop. Use the Search Filter to search items by Item name/number or Item Type. You can also double click on any product to know more about it. • Double click on any product to know more about it. 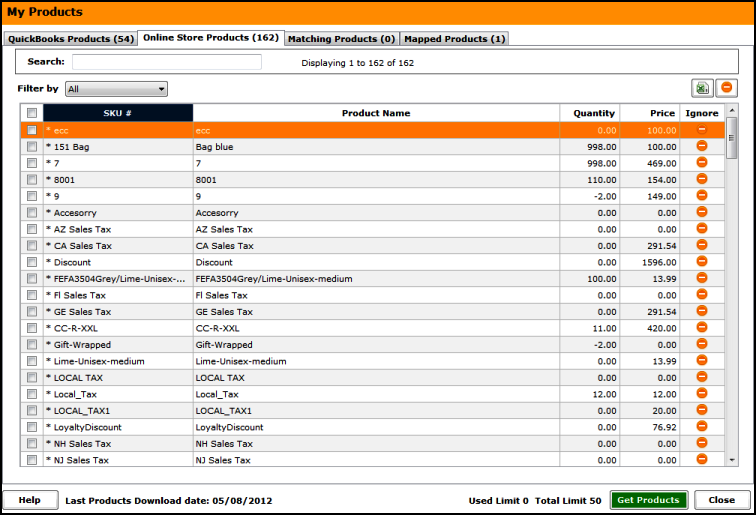 The MATCHING products screen can be used to see a report of items automatically matched by Unify Desktop in QuickBooks and your Online Store. 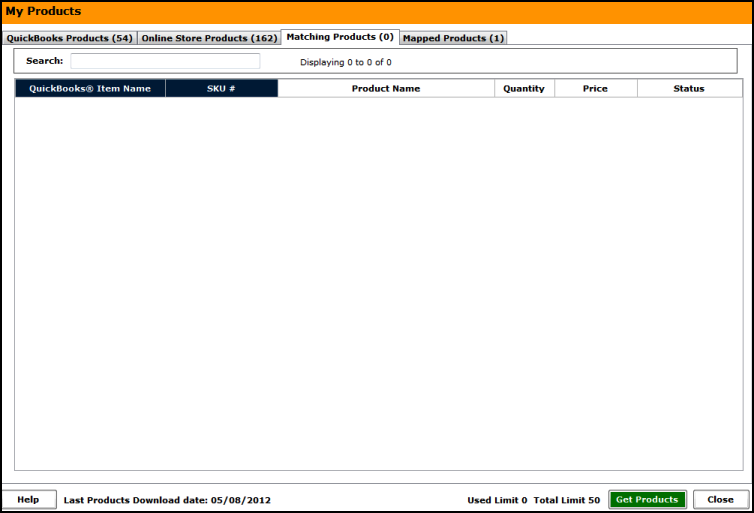 Product Matching Criteria is highlighted and Unify Desktop displays the number of matched products. 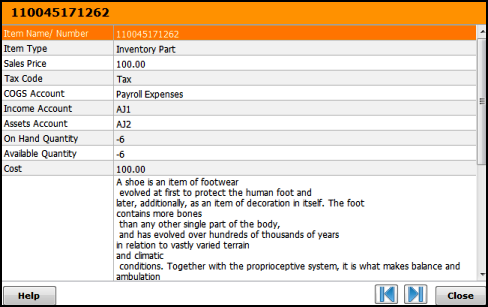 The MAPPED products screen can be used to see a report of items in the online store mapped with a QuickBooks item or vice versa. Click on Delete to delete the Mapping. 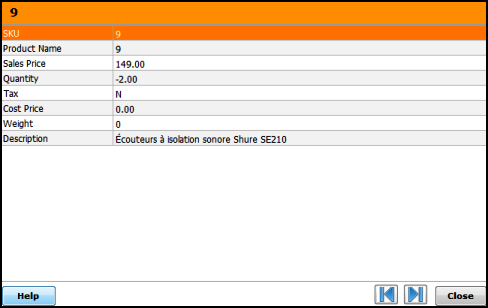 Mapping criteria columns are highlighted. You can do bulk deletion by selecting multiple orders and clicking the Red Cross delete icon on the top right. Use the Export All Mappings button to generate a CSV file of all your item mappings. You can use the Import Mappings button to import new set of mappings in bulk. A CSV template is also provided under the "C:\Webgility\UnifyEnterprise\Templates" folder which you can use to specify your mappings.